Kits includes: ratchet assembly, lever, head saws, cam, springs, and screws. Applicable for QH Heads, and Models QL, QSP, PQL, Torque wrenches that feature ratcheting square drive heads. Exchange out head parts easily and completely to ensure like new functionaility. Reduce Time: No more searching for all required parts. Reduce Costs: No need to purchase and store extra parts that are normally sold in larger quantity packages. For Metric and American models reference the equivalent SI model. For FH, FHSLS, FMA, BLA and DW models reference the standard model or please feel free to contact Tohnichi. 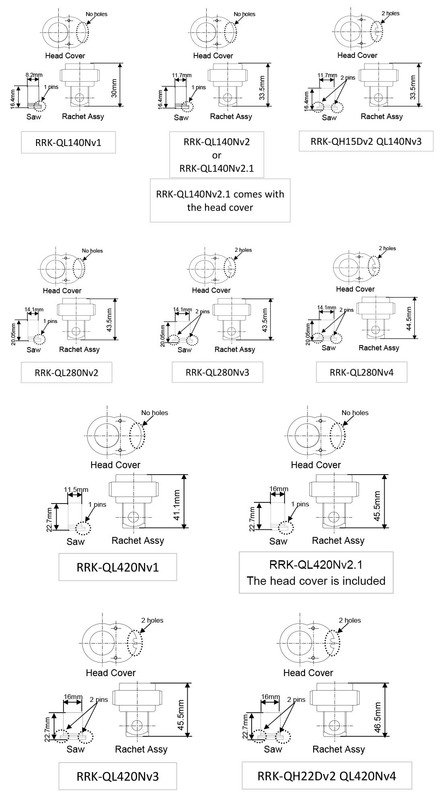 *Models RRK-140Nv2.1 and RRK-420Nv2.1 kits also include the head cover.